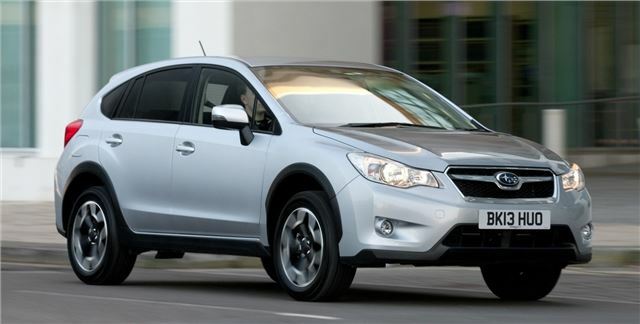 Subaru has dropped the prices of its XV crossover by £2300, following an improvement in the exchange rate between Pound Sterling and the Japanese Yen. The reduction will apply to every model in the range, which means you can now buy an entry level 1.6-litre petrol XV from £18,995. Subaru claims the price drop will give customers 'the greatest value for their money’, with a Subaru XV now undercutting a comparable Ford Kuga by almost £2000. The XV boasts an impressive equipment list too, with 17-inch alloy wheels, heated front seats, wiper de-icers, and multi-function display all fitted to the entry level S trim as standard. The XV range features permanent all-wheel drive and respectable economy figures for a 4x4, with the 1.6-litre petrol returning 43mpg on the combined cycle. The 2.0-litre diesel is arguable the best of the engine line up, offering 50.4mpg and emitting and 146g/km of CO2. All models in the range include Subaru’s comprehensive five year, 100,000-mile warranty as standard, as well as five-star Euro NCAP crash safety rating. Buy one if you do.